It’s been a rough year for Ukraine: The country is caught in the vortex of a European-Russian gas war, paying prohibitively high gas prices to Russia and reeling from a humiliating billion-dollar fake gas deal with Spain. Still, Ukraine plods along in this war, but Russia holds the cards. Ukraine is paying about $430 per 1,000 cubic meters of Russian gas—a figure its budget cannot sustain—and it wants Moscow to lower prices. Right now, the deal on the table is this: Moscow will lower gas prices for Kiev, but only if Kiev allows it to buy into Ukrainian pipelines through which Russia transits its Europe-bound gas. Moscow also wants Ukraine to join a customs union with Russia, Belarus and Kazakhstan. This is a VERY HIGH PRICE to pay for lower gas. What this means, essentially, is that if Ukraine gets lower gas prices, it will at the same time strengthen Russia’s control over Europe’s gas supply—the very thing Europe is fighting tooth and nail to avoid. While Ukrainian President Viktor Yanukovych was hoping to negotiate a lower price in talks yesterday with Russian President Vladimir Putin in Moscow, those talks were cancelled at the last minute. Why this happened is important. The Kremlin’s official line is that the talks were postponed because they needed more time to prepare the necessary documents the two sides were to sign to cement the dubious deal. The real reason for the postponement was Europe. 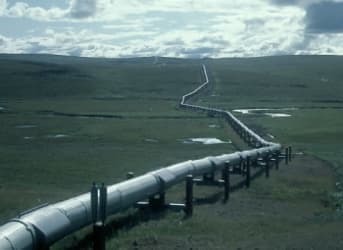 The last thing the European Union wants is for Ukraine to sign this deal and give Russia greater control over pipelines pumping precious gas into Europe. Gazprom’s grip on Europe is all about pipeline control and bullying buyers into long-term contracts. Kiev is hedging ahead of a Russia-EU summit this Friday. Yanukovych cancelled his Moscow visit in order to see how Europe will deal with the issue. Let’s look at how this has gone down in the past. In 2006 and 2009, at about this time of year, Russia cut supplies to Kiev over price disputes, leading to disruptions to other European markets because the bulk of the pipelines supplying Europe go through Ukraine. This has since been dubbed the “New Year Gas Wars”. For Ukraine, this has been a particularly long road. The price Ukraine is now paying for gas is the result of a 2009 agreement made by former Ukrainian prime minister Yulia Tymoshenko, who is now languishing in prison on charges of abuse of office. Ukraine’s attempt at diversification of its own has been humiliating. In late November, Ukraine signed a $1.1 billion deal with Spain’s Gas Natural Fenosa that was to secure investment for the construction of the country’s first liquid natural gas (LNG) terminal on the Black Sea and a pipeline connection it to the Ukraine’s vast gas network. Sadly, this live, televised deal-signing ceremony turned into one of Ukraine’s most embarrassing moments. The deal was fake and Fenosa claimed to never have heard of gentleman signing the deal on its behalf. Fenosa is now suing the imposter, Jordi Sarda Bonhevi, and it shouldn’t take too much due diligence to determine who was behind this well-played charade. This is what Ukraine and Europe are up against. This time around, however, while Russia still has Ukraine over its knee, Gazprom has fewer cards to play. The shale boom in the US has Russia worried that Europe will follow suit—though so far shale in Europe has gotten off to a very rocky start and no one’s expecting a revolution any time soon. Gazprom is also in a bit of a pickle: While it remains the world’s single largest producer of natural gas, recording $44 billion in profits in 2011 alone, the company is in trouble. In September, Gazprom announced it was scrapping plans to develop a new arctic gas field, being short on funds, and its latest financial report shows a 25% drop in profits.